PLATINUM OR 18K GOLD ENGAGEMENT RING WITH 0.12cts. 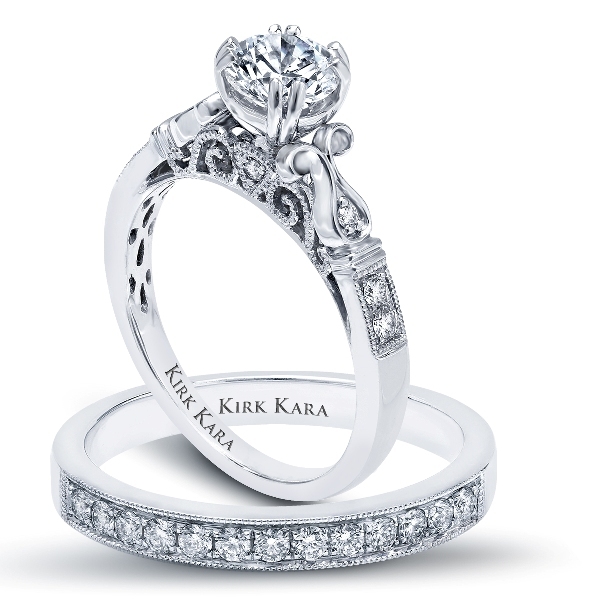 DIAMONDS.CENTER STONE NOT INCLUDED. MATCHING WEDDING BAND WITH 0.23cts. DIAMONDS.